Police have issued a CCTV still and are appealing for further witnesses after a man suffered head injuries during an assault in Clowne. 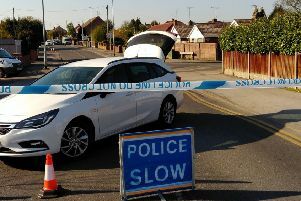 The incident took place at a property off Low Road, Clowne, close to Low Road plant nursery, at about 7.30pm on June 26. Two men pulled up at the address and one of them went onto the property, after which a verbal dispute started between him and the occupants. A fight then broke out, during which a 69-year-old man suffered serious head injuries was taken to Northern General Hospital in Sheffield for treatment. A 27-year-old woman was also taken to the same hospital to be checked over for injuries to her legs. The man who went onto the property then ran off, while the second left in the white Ford Transit pick-up style truck they had arrived in. Do you recognise the man shown in the CCTV image? He is of medium to large build, and was wearing a dark checked shirt and brown or dark green shorts. Police also want to hear from anyone who witnessed the incident or suspicious activity in the area around the time. In particular, they want to speak to drivers with dash cams who were travelling between Stanfree and Clowne between 7.15pm and 7.45pm that day to get in touch, as they may have footage of the van. Anyone with information quote the reference number 18000296837 and the name of the officer in the case, DC Katherine Hewitt.